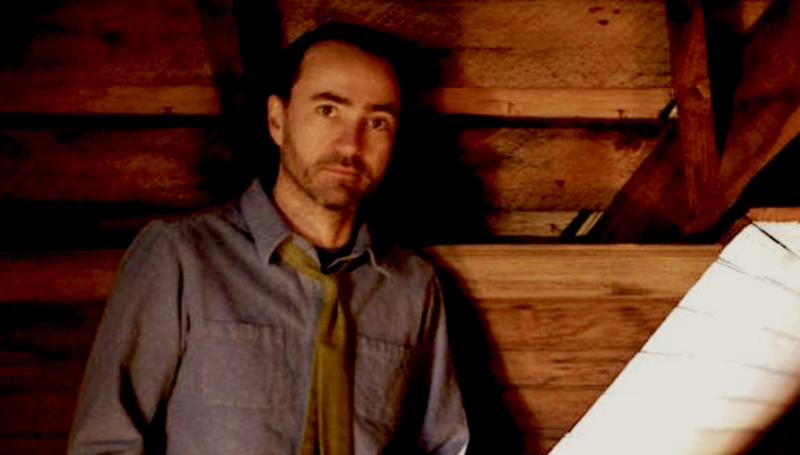 Last time I met James Mercer was on the eve of the release of Wincing The Night Away. Today’s meeting is a little different. I’m in Sony Records’ London offices, the British home to Columbia Records who look after Mercer's new label Aural Apothecary. I’m told “you’ve got 25 mins”, and the door swings shut, leaving the pair of us sat in a sound proof room with gold and platinum discs for pop records sparkling on the walls. It’s a far cry from our previous meeting, which took place in a pub. You couldn't have wished for a better drinking partner. Mr Mercer was one of the most considerate and thoughtful gentleman I’d met, let alone interviewed, and forced me to question many of those ‘never meet your heroes’ theories. Back then, we talked over pints for an hour or two about everything from televised war to literature so bleak that it should come with a suicide warning. Dictaphone switched off, interview over, we went for a steak and he told the folks from his previous label Sub Pop some good news. But that was then and this is five years later, and a lot has changed (although James is still as polite and thoughtful as I remember). Armed with a pad full of theories and questions from the DiS community, this is what happened when I met James Mercer for a second time, having spent a week or two with his/their new record Port of Morrow (which is out now). I think I noticed a few lines about “creation”, rather than what’s happening right now [which he seemed pre-occupied by on Wincing... and in some of the Broken Bells lyrics]. It seems like the themes of this record stretch back in time, perhaps to a simpler era, seemingly in search of some understanding about now based on history but I don’t know if that’s me projecting and hearing something in the record that I want to hear? I’m not sure, it’s maybe at this point difficult for me to have a lot of perspective on it [the new album] because it’s so fresh, but I know that having kids has made me think and care more about people in general. And it’s made me more concerned with violence and stuff like that. I’m a bit more of a bleeding heart than I was. I wasn’t one of those kids who really cared about issues in the wider world, I felt like it was beyond anything that I could do anything about. But now, I think I take things more to heart. More to heart? It has always sounded to me like you’ve always taken things quite to heart? But I guess in the past it was more direct, and there were things that were more closely related to me and more closely affecting me, but now it’s like things seem to have an impact on me that are more global concerns. Pretty much as soon as I was done with the Broken Bells touring I began going through my old micro-cassette tapes and sorting through ideas and everything. I think it was by about May of last year that I was starting to record ideas and get my idea about how the songs might be structured. Was there a song where it started feeling like it might be the start of the new record? The first one that I really felt pretty positive about, and felt that was going to be pretty cool was ‘Bait and Switch’ and that was partly because we had went and played it live, as a band. For you, are you writing constantly? Is this a collection of a few years of songwriting? In a very casual - maybe even lazy - way, I’m always writing. I enjoy picking up the guitar and playing and whenever I’m doing that, a certain amount of that time I spend just trying to make something up. It’s just a fun habit for me. Maybe I mess around with trying to do some cover song just for fun, to make my wife laugh or something. Were you sitting down with a notebook full of a few years’ worth of half-thought lyrics? Yeah, but most of my lyrics come together after the song is pretty well written, and I use that as inspiration for the lyrics…I mean, I don’t know if this is true but it’s the way I’ve always done it…I feel like the music is somehow going to give you a mood and you can then at least get some sort of a clue as to what needs to be put down there. I just remember kinda struggling with ‘Port of Morrow’ because it’s kinda dark, the chords are minor and it sounds dramatic…and thinking “what’s dramatic?” So it took a while to figure out what that song was about, but I used the music to guide me. Really it’s just that phrase. There’s a sign by the side of the road that says “Port of Morrow” and I always just wondered about it, I guess. When writing that song it popped into my head and I was thinking of it as death, like what’s beyond the exit point, the “port of morrow”, the port into tomorrow? Right, exactly, everyone’s future is death… that’s a very dark way to look at it, but in the song it just happened to fit in with that thing. Like the ace of spades, port of morrow, life is death, death is life. There are quite a few idioms on the album; I don’t know whether you’ve got a few favourites or whether you’ve been collecting them over some time? Can you remind me of any? I try and take an idiom and turn it a bit, there’s something about that I enjoy I guess. This is something that maybe I’m over-noticing but you seem to have got into rhyming a lot more, I was wondering whether you consciously delved into one of those rhyming dictionaries? I remember about three of four years ago, there was a Bob Dylan song I heard and he was just really using rhyme effectively and blatantly, almost like “this is about rhyme” this whole experiment…I had a new take on that from that moment. Have you been to Port of Morrow? No, I haven’t. I looked it up online the other night because people are asking me now over here, so I looked it up. It’s this industrial port and very boring. Yes, he did and he plays on it. He gets those sorts of gigs and I’m not sure how he manages to do that, but he’s done really well. He’ll work with a small little thing and then he’ll do Lily Allen and he can kinda do anything. He can do all this big pop stuff and then, when we were working, what he really brought to this was an avant-garde synth edge to things. Was it just the two of you in the studio? Yeah, I’m like co-producer and he was producer. What was the process like, had you worked together on anything before? No, he was a friend of mine and it was similar to the way the Joe Chiccarelli thing happened though I knew Greg a little bit better than I knew Joe when we started [working on Wincing the Night Away]. He is my friend Rachel’s husband, so I met him through her and we’d go out and have dinner when I was in LA. He’s a really cool guy and I liked him a lot…then I learned he was producing records and then I listened to some of the stuff he did like The Bird and the Bee which I really liked. I just was like, he’s totally cool and I know I can communicate with him – and that for me is a big thing. I knew that his personality would fit with mine and he’s a considerate person and it wouldn’t be a situation where somebody was trying to railroad you, which I don’t respond very well to. Was there anything you learned from this process that you’ve not really done before? I guess with Broken Bells there were a few things you hadn’t done on previous Shins albums...? On this record, I would say that there are things I think I learned about myself with the Broken Bells thing. I sing in different ways on the Broken Bells record than I had ever recorded and I’d never been serious about doing it that way. So I learned “oh I can do falsetto”…I think I got a little more adventurous because of Broken Bells and on this record I just sort of expanded a little bit and had more fun experimenting. But so much of it is Greg, too, the stuff that we talked about when we started working on the record were pretty avant-garde bands from the 70s and stuff, like Faust and Can…as far as to get a vibe sound-wise. Ha. I know, but you hear sonically some of the sounds but it’s not like we do these long droning, drum things. I’m trying to remember that song…that’s interesting! The Cyndi Lauper song? Melodically? I think it’s the pace at the start and the shift as well. I looked on Twitter and there were four or five other people who said the same thing, so I wasn’t completely alone in my madness. I’m gonna have to listen to it again, you’re scaring me! I remember it was after Wincing The Night Away was done…maybe it was before we really started touring for Wincing The Night Away and I was sitting on the living room floor and Marissa was there, my wife, and I was playing guitar just messing around and all of a sudden that marching sound and rhythm came in [James then goes dum-dum-dum-dah, tish]. Then I started singing and came up with the first two verses really quick, and then it just sat there in that state up until about May of last year. Was there anything in particular that you were trying to accomplish with this record? It feels like you found, on the last record, a kind of electronic and acoustic guitar sound that worked together. It feels like you found your palate, almost.. Yes, that’s good to hear. Yeah, I mean I get to have my imprint on the thing, it’s not like I have another office, or Apothecary offices like this. Obviously Columbia is in charge of marketing this thing and it’s their infrastructure and their team that’s going to make this thing happen. I don’t know anything about that stuff, really. My management does, though, so really it’s my management that helped me decide where to go for this record. I really took their advice, I really trust Ian and Monotone, y’know? Yeah, I know…yeah. So I just took their lead on it. You’ve played a couple of shows with the new line-up, and I was reading some of the stuff Greg who’d produced the album had done with Gwen Stefani – he’d worked her live show with her and I don’t know whether that was in terms of the show or the sound. I was curious as to whether you’d seen those Gaga shows and if there’s a new Shins stage show we can expect? Yeah, we’re doing a whole Gaga thing! That’d be awesome. We ought to though, man, figure something out, put some spice into this mix. The thing about Greg is he’s a terrific musician so he’ll do gigs for big names and he’s just there to play piano, because he’s just one of those guys who can nail it first time, which was another great appealing thing about working with him. It was that I would have this real partner who would play all this stuff and would help out that way as well. You obviously write a lot of the record sitting down with an acoustic guitar and some of the record sounds a lot more like a “one dude and an acoustic guitar” a lot of the rest of it sounds like you’ve written it because it’s going to work really big and live. I’m just curious as to whether there’s sometimes a frustration with you that have to write stuff that might be bigger and be more radio and be more of a live show kind of thing. Like I’d prefer to do more quiet acoustic things? No, no I’m not saying that it sounds like you prefer it but that it sounds like this record has more of an even balance than some of the other records. Well, I don’t know…it seems to be that I just end up writing. Half the time the songs seem to need that treatment of something quiet. I don’t know how that works. Why don’t I just write one kind of song, because some people seem to do album after album of quiet acoustic songs and I don’t know why I’m not like that and how it works. Is there anything that lyrically holds the record together? ...I’ve been thinking that love and death are the two themes. Maybe there’s a theme in this dichotomy to mean that life has this two-sided coin thing, one dark, one light so that beauty and the grotesque are always mingled together. That’s something I’ve thought a lot about in the last five years or so. You’ve not been sitting down reading situationist manifestos about the power of death to influence life? Yeah…I was probably talking about Blood Meridian, that had a huge effect on me, messed me up – in some ways in a very good way. That would be something that would be up there. You know what I’ve been reading that I really like? The Proud Tower by Barbara Tuchman, it’s a historical thing, non-fiction, in quite a good and interesting period at the time. I’ve been more interested recently in historical stuff. You said you’ve been caring a lot more about bigger things happening in the world, is it different events in the world that may have trickled in there unconsciously? Right, exactly. Just kind of [James makes a flinging gesture] toss the chess board…we’re not even playing the game anymore, there you go! It’s funny because when you’re like me and I’m always interested in music equipment and things like that and microphones and it’s hard to buy anything that’s made in the United States, and you end up buying vintage things because we just don’t manufacture things in the States. You can’t have a skilled labour job hardly at all in the States. Oh right. I don’t know, I kind of feel like there are some people who aren’t going to be able to design things or be creative in that abstract way. If you have five kids you’re going to have some who are talented in that direction and some who are really terrific at working with their hands, it’s just inherent that personality types and the way our minds work vary. It’s unfortunate that you can’t just be someone who is really good at some more physical thing and be able to make an honest living at it. I don’t know the solution, I know that the unions haven’t always done wonderful things for America but to completely end the relationship seems nihilistic. I think that’s the first time I’ve ever written a song that was so directly about something…and I don’t know if it even comes across. Yeah, and it’s not like I have a solution to it, but it’s fodder and fuel for my writing process. I guess if you put the ideas out there’s a hope that amongst tour crowd of fans, there could/should be the people out there helping find solutions... Ok, last few questions. A bunch of people on our messagesboards were wondering if there anything else was going to happen with Broken Bells or if it was just a one-off project? Yeah, there will. We’ve got a number of songs for the next record already sketched out and some even done, so we will do another record. I’m excited to get back in and Brian is as well, so we’re planning on it. There’s also been the Portlandia stuff, which you were in one episode of, and I was curious as to whether that was a parallel world in or near Portland? You do see them filming once in a while…I’ve driven by and it’s there, at it again. You were in Some Days Are Better Than Others, a film with Carrie [Brownstein] which was out at film festivals; do you know what’s happening with that? I don’t know what’s happening with that. Matt McCormick directed it and I’m not exactly sure. I was just e-mailing with Neil about that, we need to get on that so now that I’ve done this I can put a little bit of time to that but not much because I’m gonna be touring a lot. What I need to do is delegate more and try and get that sorted out because we’d love to release a compilation of the songs we did back then. I did have one final question… a lot of your lyrics mention drowning and waves…the idea appears in this record again, but you don’t ever mention pitchforks, is there a reason for that? Ha, you see my reason, my blatant bias. A huge Drowned in Sound fan! Port of Morrow is out now.